This Silver bed frame is quick and easy to assemble with 5 cross-member bars. 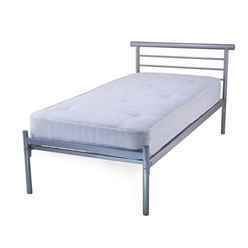 It's a very simple frame which is easily suited into any bedroom. 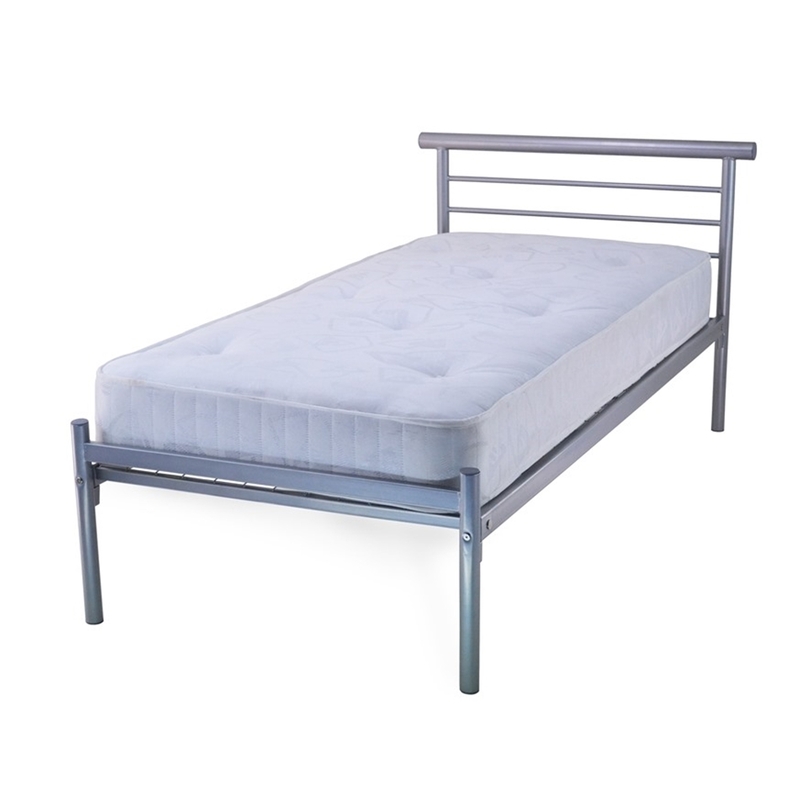 It has a low foot-end and has a two part welded mesh base which is bolted along both side rails creating a great base for a comfortable nights sleep.